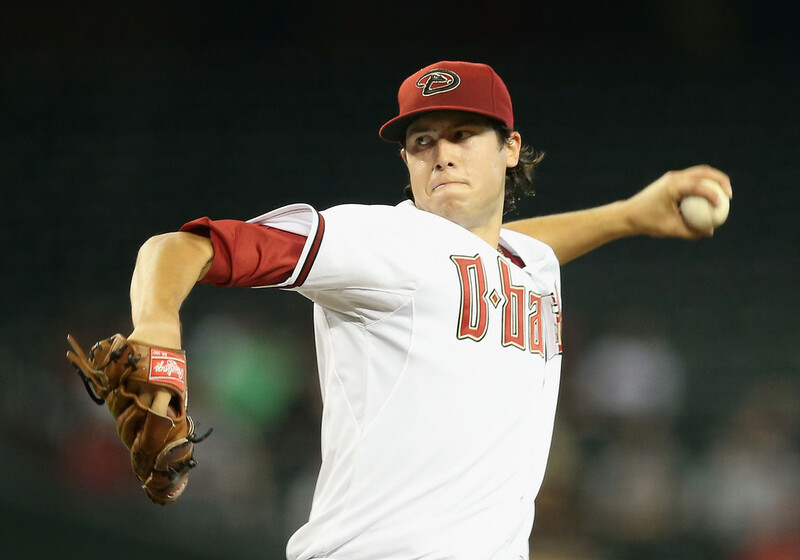 Tyler Skaggs is one of the best left-handed pitching prospects in all of baseball. MLB.com has him ranked as #2 left-handed prospect in baseball. He has a great knee-buckling curve ball to go along with a fastball that sit in low 90s. They have some position players on offense that were in their system who are helping out the club this season. The players are first baseman Paul Goldschmidt and shortstop Didi Gregorius, they also have outfielder Adam Eaton that will rejoin the team at the end of the month. Arizona has players in their farm system that will make the team successful in the future. Today we are going to look at Dbacks’ top 5 prospects. #1. 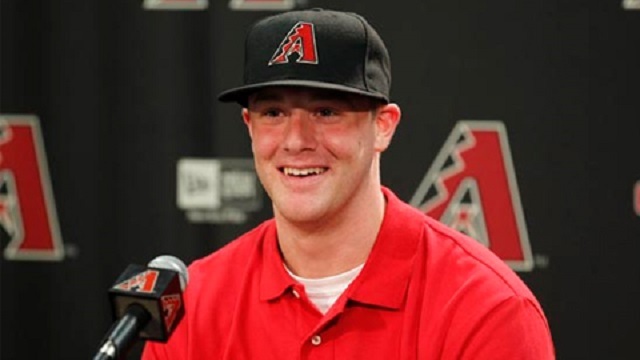 Archie Bradley– Bradley is a 21 year old right-handed pitching prospect that was a two sport athlete in high school. He was taken 7th overall in 2011 MLB Draft. He played both football and baseball, he received a scholarship to play both at the University of Oklahoma, but ultimately decided to make baseball his career choice. Bradley started last season in South Bend and threw the ball great in first professional season as a baseball player. He struck out 152 batters in 136 innings and held opponents to a .181 batting average against him. He possesses a plus fastball that is around mid to upper 90s which allows him to rack up strikeouts, and also has a great curve ball to complement it. He has a change up that continues to improve in every start that he makes. There was one area that he wanted to improve upon in his second year and this was controlling the amount of batters that he walked. So far he has displayed better control in his starts, as he has just walked 16 batters in 42.2 innings thrown. Bradley is rated as one of the top right-handed pitchers in the minors, and he as a chance to make an impact when he becomes part of the rotation in Arizona. #2. Tyler Skaggs– Skaggs was expected to make the team out of Spring Training, but struggled with command and location of his pitches. 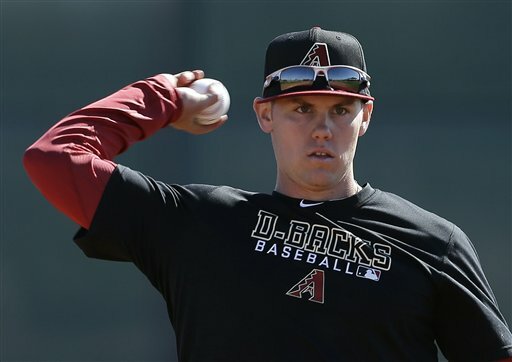 He was selected 40th by the Los Angeles of Anaheim in the 2009 MLB Draft, but was then traded to the Diamondbacks in August 2010 along with Patrick Corbin for Joe Saunders and Dan Haren. He began the season in Reno, and has had mixed results in his starts with them, as indicated by his 6.21 ERA in 37.2 innings thrown and he has also walked 15 batters to go along with 39 strike outs. He is still one of the best left-handed pitching prospects in all baseball. He will benefit from pitching in Reno, because it will teach him to keep the ball down and the command of his pitches will improve. #3. Chris Owings– Owings is a great offensive shortstop in the minors for the Diamondbacks, as indicated by .343/.365/.824 triple-slash. He will not be joining Arizona any time soon with Gregorius playing so well for them and they also have Pennington. This will be to his benefit, as it will give him a chance to become a better hitter and improve his discipline at the plate. He has struck out 37 times in 172 at-bats with only five walks this season. He has improved his defense dramatically and this has made him a more complete player. There is still a chance he joins the club this season if one their infielders goes down due to injury. He was 41st overall pick in the 2009 MLB Draft by the Arizona Diamondbacks. Owings is one of the better offensive shortstops in minors. He has shown the ability to be a run producer with 25 RBIs and 79 total bases with Reno so far this season. He is has a .343 batting average with 33 runs scored. #4. Matt Davidson– Davidson is a very good offensive third base man for the Diamondbacks, but is prone to striking out. This will improve once he has more at-bats under his belt. He has .290/.344/.823 triple-slash this season in Reno. He was taken by Arizona 35th overall in 2009 MLB Draft. The one area that he needs to improve on is his footwork at third base. He was invited to spring training and received some help from Matt Williams in this area. He is currently being blocked by Martin Prado, but this will give him time for his skills to develop better. #5. Alfredo Marte– Marte is the only prospect on this list that actually saw time with the Diamondbacks this season. He played well considering that before this season he only had played up to Double-A. He showed better pitch recognition as he earned the opportunity to play in more games. The key thing for him is to be patient at the plate and once has more at-bats and has a better understanding of what pitchers are trying to do against him he will be a better hitter. He projects to be a 4th outfielder for the team, but if he shows that he can hit with some power, then that will change. 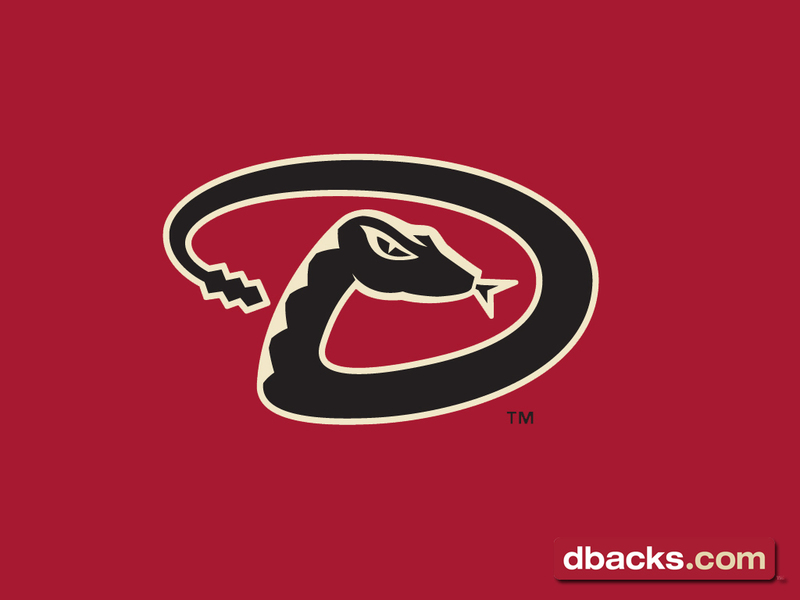 The Diamondbacks farm system is loaded with talent, and they have the players that will keep this team competitive for years.The pitching for them is only going to get better with Miley and Corbin already part of starting rotation. Then when you combine them with Bradley and Skaggs, they can have one of the best rotation’s in all of baseball. They have the position players that can contribute of offense as well with Owings and Davidson . They could easily be the best team in NL for years to come. 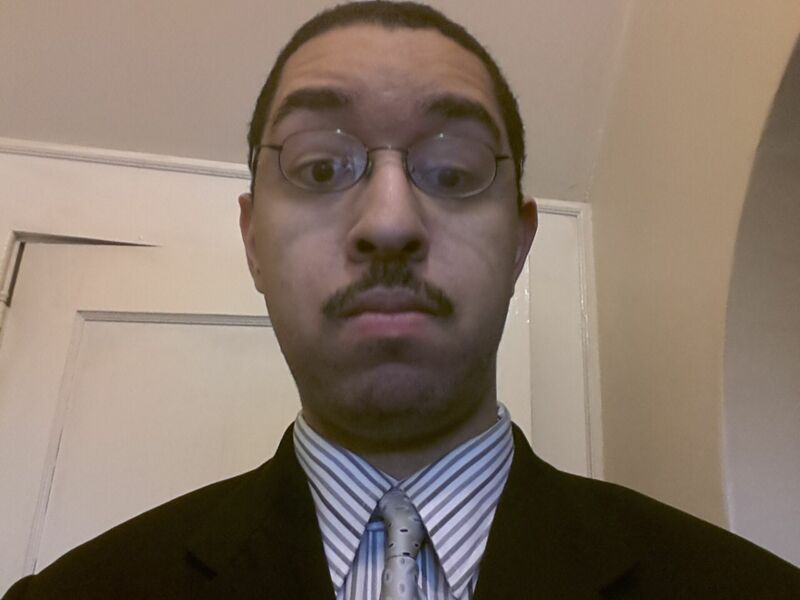 A big thank-you goes out to our ”Diamondbacks Correspondent’ and busy Baseball Writer Chris Lacey. Chris has been a fan of watching baseball since the age of 13. Now he does like all sports – but his favorites after baseball are hockey and basketball. Chris is very good with computers and is a college graduate. Posted on May 17, 2013, in MLB Player Profiles, On the Verge: MLB Prospects, The Rest: Everything Baseball and tagged 2009 MLB Draft, 2011 MLB Draft, @aecanada12 on twitter, Adam Eaton, Alfredo Marte, Archie Bradley, Arizona Diamonbacks, chris lacey, Chris Owings, dan haren, didi gregorius, joe saunders, los angeles angels of anaheim, martin prado, Matt Davidson, Patrick Corbin, paul goldschmidt, top 5 prospect Arizona Diamonbacks, tyler skaggs. Bookmark the permalink. 1 Comment.